Busy week ahead! Exciting stuff I can't talk about. 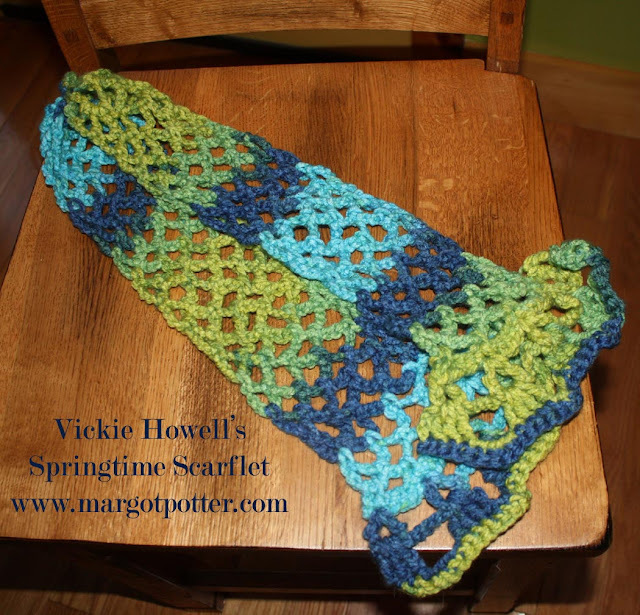 This is a scarflet I managed to finish...finally...designed by the lovely and talented Ms. Vickie Howell. She hosted a Crochet-along on Facebook and Ravelry. It ends today, but you can still join the fun any time! I am really quite happy with how this turned out. I'm also quite happy with all of the stitches I've learned so far. I had to work and rework this, even got half way through one and realized I'd done the stitch wrong, but I like that version too and will share when it's finished. Not so bad for a newbie! Tune in tomorrow for my final project for National Craft Month for the fine folks from Fiskars. Until then...craft on with your bad self!